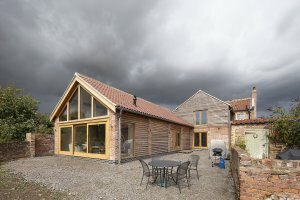 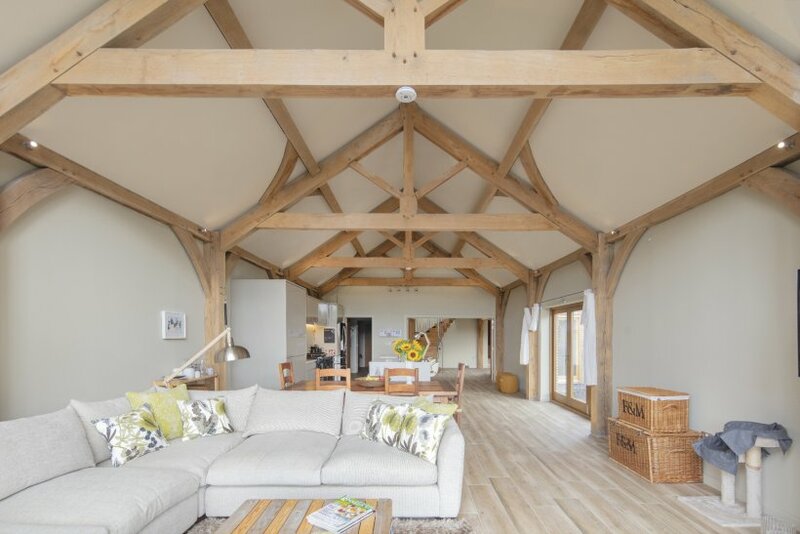 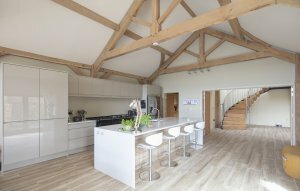 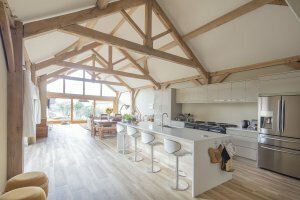 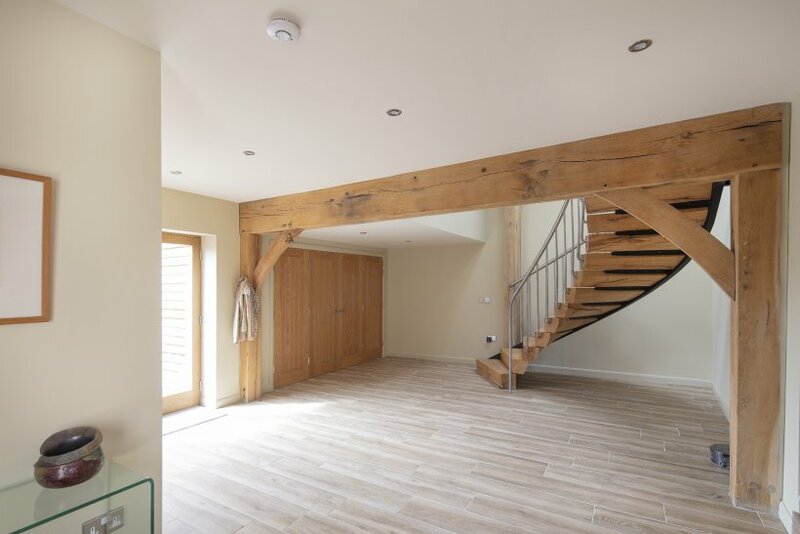 Native have helped our client transform a run down Grade II Listed cottage near Thirsk into a beautiful, well ordered, comfortable and sustainable family home. 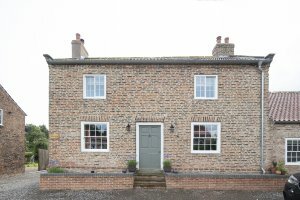 The property had been mistreated and poorly redeveloped over the years with a muddle of badly constructed later additions to the original 18th century cottage. 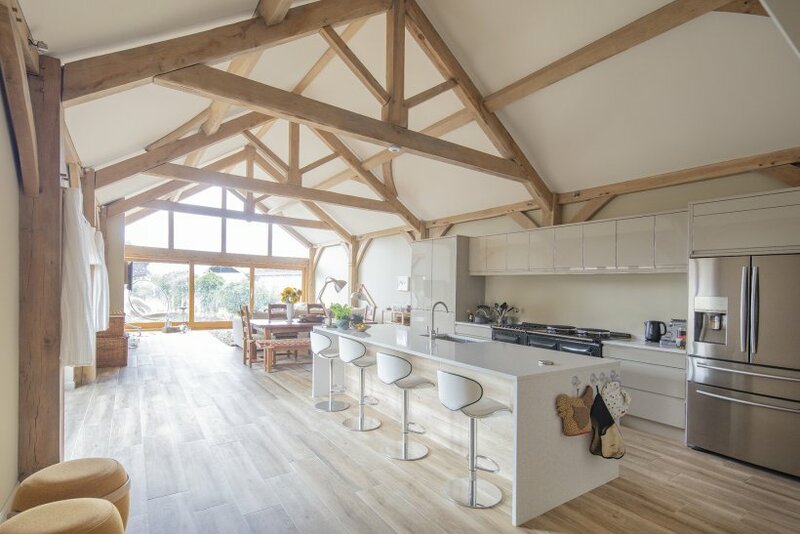 Native worked with the existing structure to sensitively redevelop this Heritage Asset and compliment the original cottage with a new oak framed rear extension that employs a palette of sustainable materials. The existing building was refurbished to unpick the inappropriate upgrades and give the building a new lease of life. Repair works and repointing with lime mortars with the addition of high levels of wood fibre insulation reduce the home‘s energy requirements and preserve the breathable qualities of the building fabric so it can perform as originally designed. 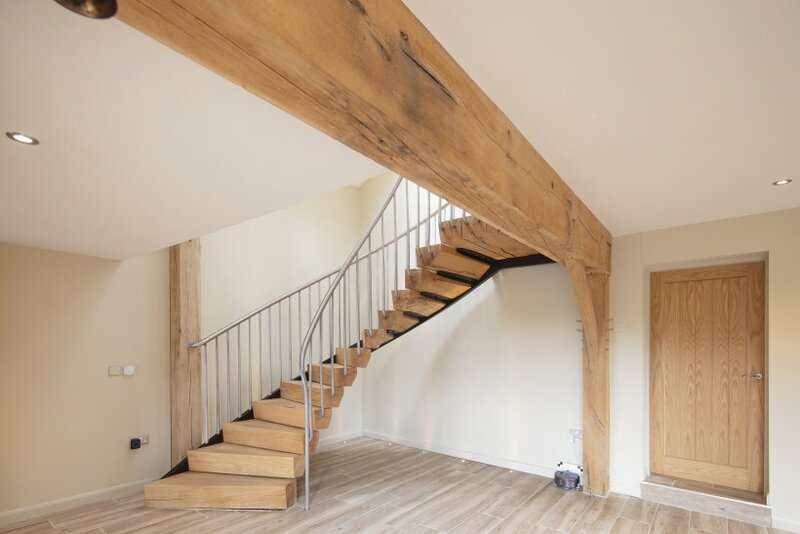 The new extension to the rear incorporates a two storey lobby with a stunning oak staircase that connects the old house to the new ground floor living spaces. 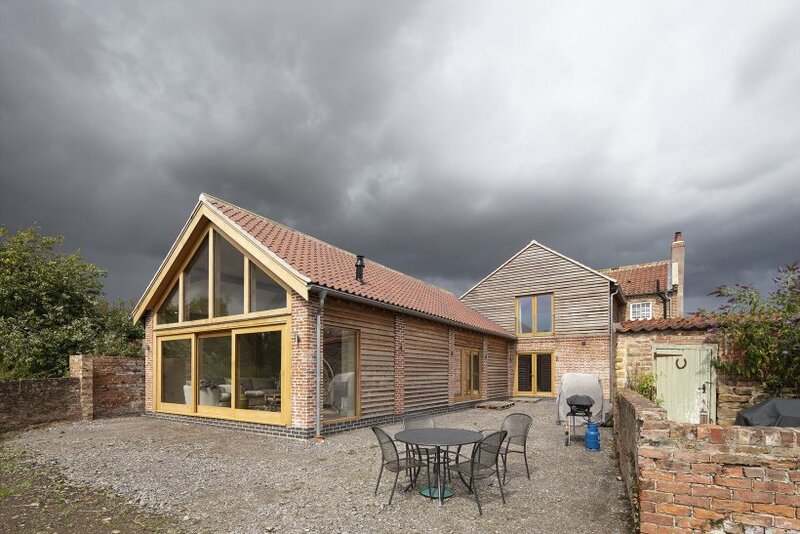 A large south facing glazed gable allows views down the garden. 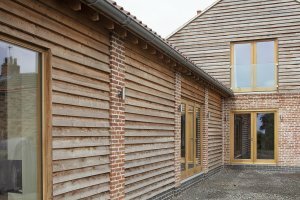 The brick and timber clad extension is highly insulated with wood fibre and recycled foamglas floor insulation throughout the ground floor. The materials chosen allow the new extension to connect seamlessly to the existing Listed cottage whilst ensuring that the modern interventions integrate well with the original fabric.